ROSELLE, Ill. -- Police in the northwest suburbs stopped a woman they say was driving down the road with a 15-foot tree wedged into the grille of her car. Police say a few weeks ago the car was headed southbound on Roselle Road with the tree wedged into the front. After stopping the driver near Irving Park Road, the officer also noticed the airbags had been deployed, apparently from hitting the tree. Video of the January traffic stop was posted to the police department's Facebook page Monday afternoon. After an investigation, the Roselle officer arrested the driver for driving under the influence of alcohol. "Yet another reason why you should not drink and drive!" Roselle police said in a Facebook post published last week. As of Monday afternoon, the social media post had been liked 13,000 times, shared 19,500 times, and had received 4,100 comments. 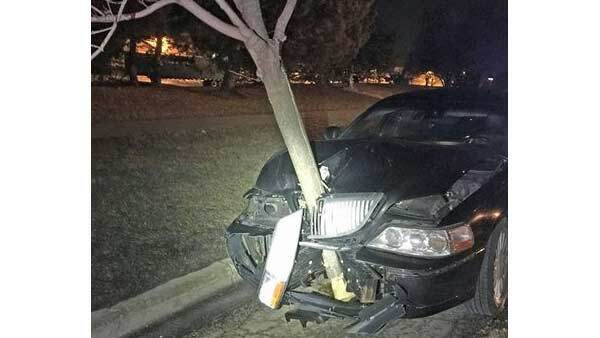 The Chicago Tribune reports the motorist, Maryann Christy, 54, of the 500 block of Spruce Court in Schaumburg, told police that she struck the tree somewhere in her hometown, but didn't remember where.